This is a lightweight Folding Walking Frame that is simple to use and is suitable for indoor and outdoor use. Folds for transport and storage. 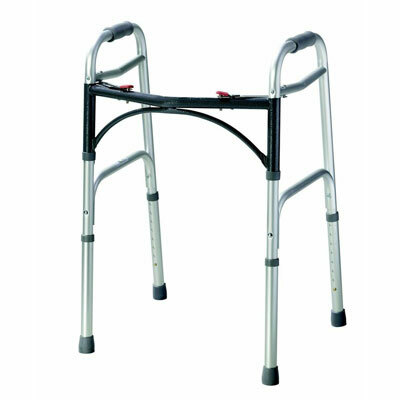 This is a lightweight Walking Frame that is simple to use and is suitable for indoor and outdoor use. Suitable for users up to 180kg / 28 stone.